April 2013 marks two years since the first post at Cirugia de Torax, so it’s time to take a moment to thank the many people who have supported our efforts. This includes not just the surgeons, but our readers. Since that first post, we have logged over 66,000 hits, with readers clocking in hundreds of times a day from all over the world to find out more information about conditions, procedures, the latest in thoracic research and the surgeons themselves. We’ve traveled to the UK, Mexico, Chile, Colombia, Bolivia and the USA, to meet and interview surgeons from around the world & to bring the latest news and technology from specialty conferences. Surgeons from these, (and other) countries have shared their ground-breaking research and illustrative case stories with us. But you don’t have to be a writer, or a surgeon to contribute to Cirugia de Torax. Numerous medical students, doctors, nurses and consumers have reached out to us – to ask questions, and share their stories. Thank you. We read each comment and every email that comes to the site. We appreciate your questions and content suggestions, and welcome your submissions. 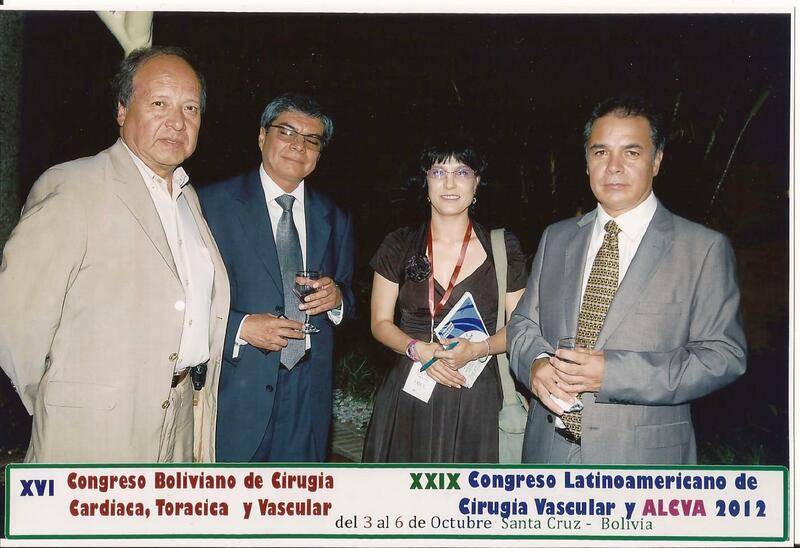 But one of our biggest supporters has been the Association of Physicians Assistants in Cardiovascular Surgery*. Their support has been essential in bringing together other professionals in thoracic surgery and in sharing information. Since our inception, we’ve had successes and failures here at Cirugia de Torax.. Successes included interviews with some of the most innovative surgeons of our age. Less successful have been our ongoing efforts to recruit thoracic surgeons to participate in our (free) on-line registry program to compile a greater cross-section of data that includes a better understanding of patient demographics and co-morbid conditions while examining post-operative outcomes internationally. Here at Cirugia de Torax, we are hoping that this anniversary is just one of many. As we continue to write, travel and explore issues within thoracic surgery, we hope to expand to provide greater coverage of global events, conferences and surgeons. Over the next 24 months, we hope to be able to provide a wider window into thoracic surgery in areas that have not been well represented here in the past; including geographic locations such as vast swaths of Asia. We also hope to provide additional coverage of procedures, and treatments of conditions of the mediastinum, esophagus and chest wall. The registry efforts will continue – as part of our ongoing efforts to make research fast, easy, internationally inclusive and surgeon friendly. *Note: Cirugia de Torax is a volunteer project, and receives no monetary gifts or other financial support from outside organizations. Support from APACVS, and other organizations comes from recognition and referrals to our website.